That looks great. Have you also added or replaced spells with raise Gargantuan and Raise Dark Knights? Yes, they will be put into use quickly. Maybe there's something we'd like to see. I hope all heroes have independent images. They are unique, rather than using creatures images. Although it will be more complex. so did you just replace some spells with these or you managed to add new ones? that would be great to be able to do the latter. 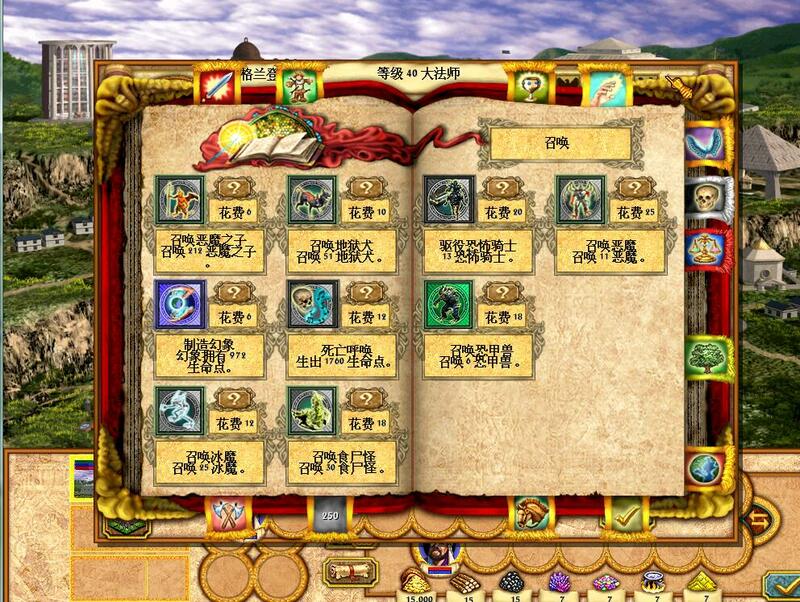 All spells is divided into 24 areas. There may be 4 vacant spaces left. Well there are a few unused spells, Nemo enabled a few of them, like the hero freeze attack, but spell like Rock Growth isn't working, so those could be replaced. Edited by kkfkkkfk at 10:31, 26 May 2018. Freeze attack is in use.Refer to Potion of Cold. This spell is only used in potion.We just let it appear in the magic tower. Rock Growth can take effect. Its effect is to create a stone on the battlefield. If you want to replace a spell, the effect must be the same. For example, summon wolf,It can only be changed to summon other creatures instead of being bless. Well can you enable those unused spells like water walk, rock growth ect? That would be great. I have done some work. Now third beta versions have been released. he really looks good,moves good,will there be any other creatures,like diamond golem,bear, strong peasant,ghost with ability from homm II,werewolf,giant(like titan) without lightning...thanks mirage. thx. the skeleton portraits on the screenshots are from radmutants portrait pack. 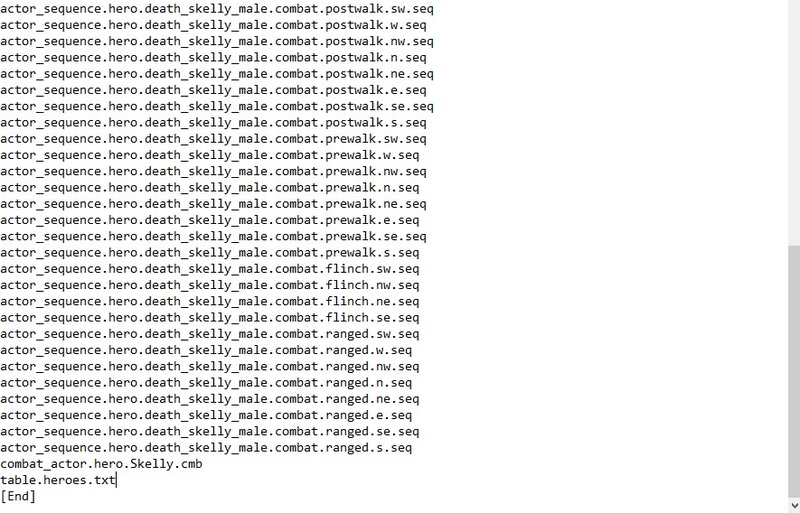 theres a bunch of undead portraits in that file. i dont wanna making such gifs cause making of the animations was more than enough image editing for this week imo the screenshots are good enough to let you guys see what i made. anyone interested can test the hero on his own. 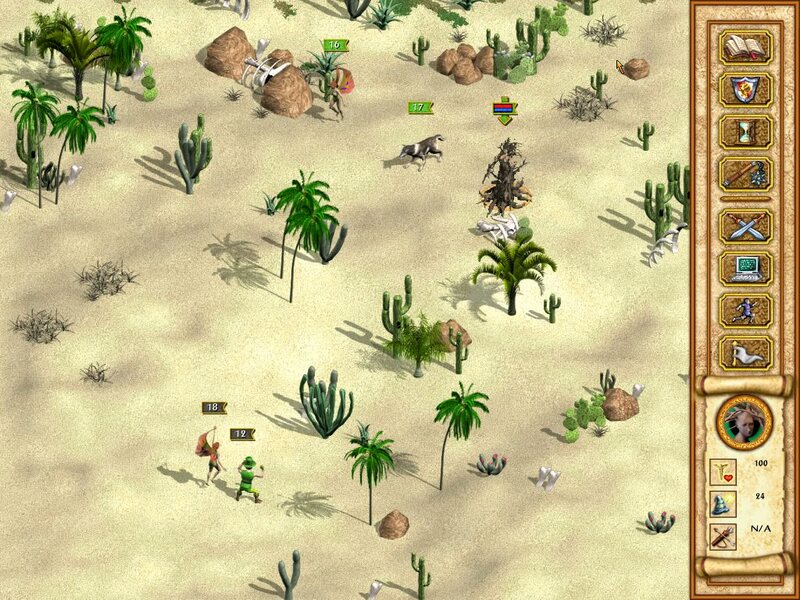 although I really like that animation,it gives more variety or dynamic to homm iv game. 1 question Mirage, what exactly must players do to play or use this skeleton hero? We open skeleton file and then we extract the features or contents to homm iv main file ? Or player must use tools like res helper or hex editor...thanks in forward. Edited by mirage at 17:24, 01 Jun 2018.
to play ityou will need a modified hero table so you must extract the table.heroes.txt from your text.h4r file with mh4win. cause you just added +1 file to the list. and save it. the result will be a skeleton_hero.h4r file in that folder. now if you dont play equilibris, just rename it as new.h4r and take it into your heroes4data folder. if you do play equilibris, you rename it new_mod.h4r instead. Mirage,you have my thanks for guidance and helping me,I will test that shortly,with little luck and knowledge I hope to succeed. When you put in the new action, you need to put in the appropriate boot file. 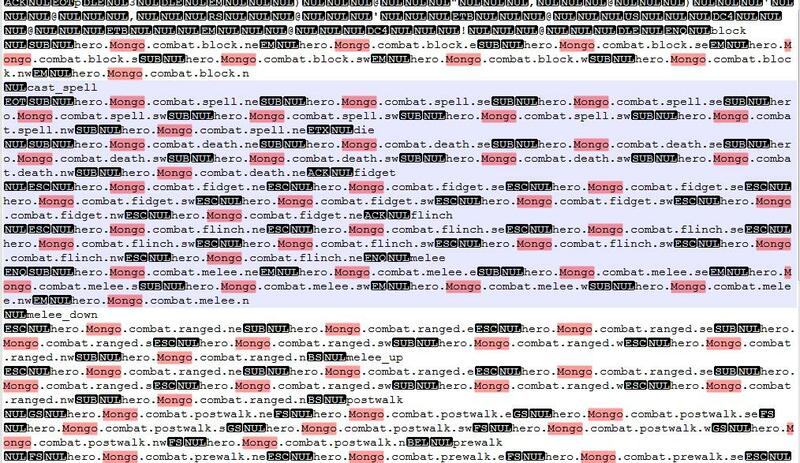 So you can write Mongo in hero table and use the model named mongo. The boot file defines all action files that need to be used. The name of the file must be the same to be effective. Edited by mirage at 18:00, 02 Jun 2018.
yay! someone alert treebeard! ive found the entwives!!! kkfkkkfk, that would be great with an English version. Mirage, the hero skin and portraits looks great, but really you should make it a habit to give the author/creator the proper credit right away (in this case Radmutants portraits). Do you plan on making more skins? I have a few ideas, mostly altered creature skins, but those are currently last in line, as there's still a heck of a lot of work with mirroring and adding new objects. 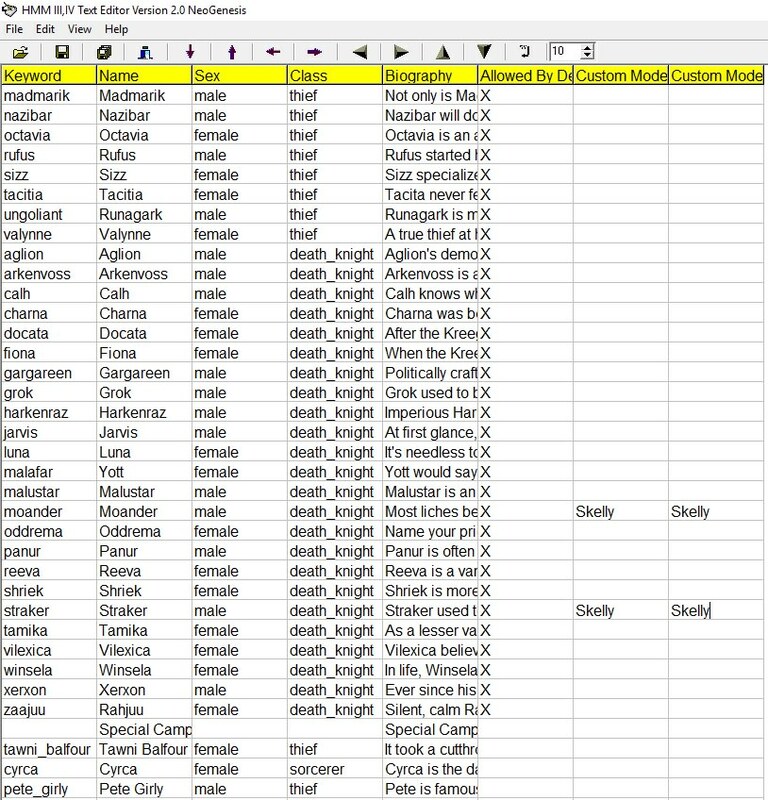 Nostradamus, iLiVe IS working on a tool that will allow us to easily add adventure objects as well as change their type. 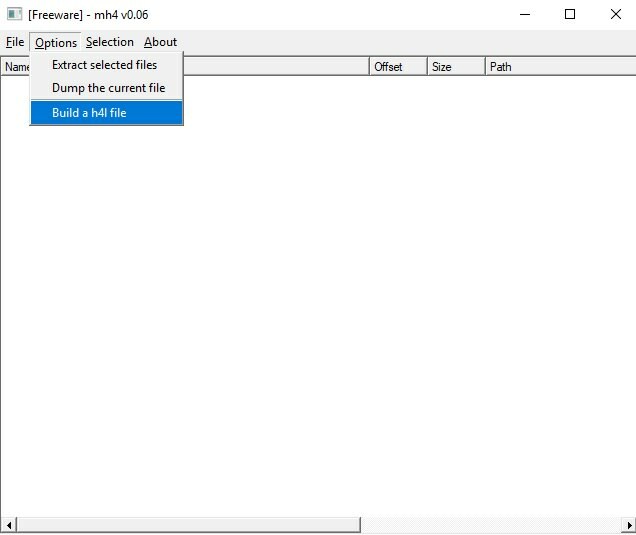 But as ypu probably know, we still face some limitations as we still don't know how to do dll extensions, thus there's still a lot of stuff we can't add as new. kkfkkkfk already introduced some new modding posibilities/tools so who know what the future brings. Mirage and kkfkkkfk, I would very much like to included your mod stuff like new spells, skins etc to Radmutants and my Objects Pack, if that is okay with you? Edited by mirage at 19:49, 02 Jun 2018. Mirage, the hero skin and portraits looks great, but really you should make it a habit to give the author/creator the proper credit right away (in this case Radmutants portraits). Do you plan on making more skins? ofc. i shared them to let anyone using them freely. Edited by Karmakeld at 22:22, 02 Jun 2018.